Soon enough, I developed the app to a state that I thought is suitable for some user testing which gave me a great excuse to use TestFlight. TestFlight offers a testing distribution service, and an API to allow developers to track testers’ activity in the app, I had always thought it looked really cool but obviously never had a chance to use before. As my first iPhone app development project, I learnt a lot very quickly. Of course, my development workflow included setting up a GitHub repository for version control, and as I mentioned I was finally able to use TestFlight to allow the downhamweb crew to test-pilot the app before it’s launch which caused a lot of buzz in the Lingo Design office (the home of downhamweb.co.uk). The news section of the app fetches it’s data through the RSS feed of the website which means that it will always have the most recent news that has just been published to the website. The events are fed by a Google Calendar, so users of the app will always know what’s happening with up-to-the-minute changes being seen in the app. 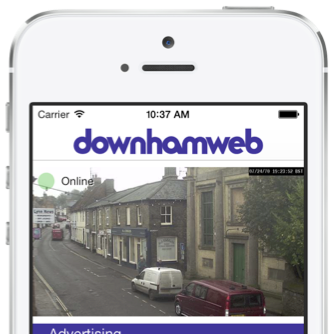 Possibly the best part of the app is the webcam, we all love “people watching” and now we can do it from anywhere. Hint: tap the webcam image to get access the ‘full screen’ mode! 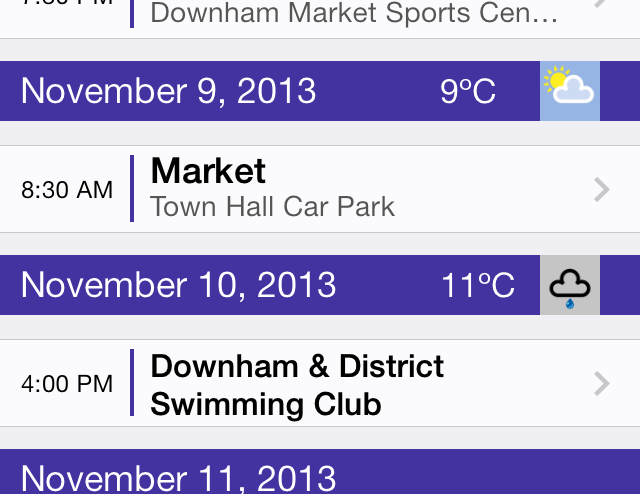 Read about the downhamweb app on downhamweb’s news, and on Lingo Design’s blog. If you’re looking for an iOS developer, have an app idea, or generally want to talk about all things iOS then get in touch! I’m always happy to have a chat.